Coins 217 C. Poblicius Malleolus, A. Postumius Sp. f. Albinus and L. Metellus. 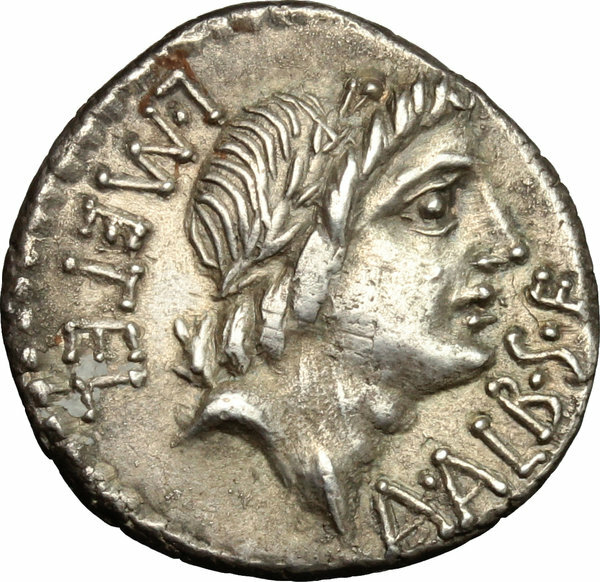 AR Denarius, 96 BC. D/ L. METEL - A. ALB. S.F. 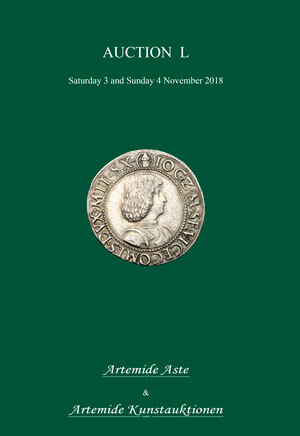 Laureate head of Apollo right. R/ C. MALL. 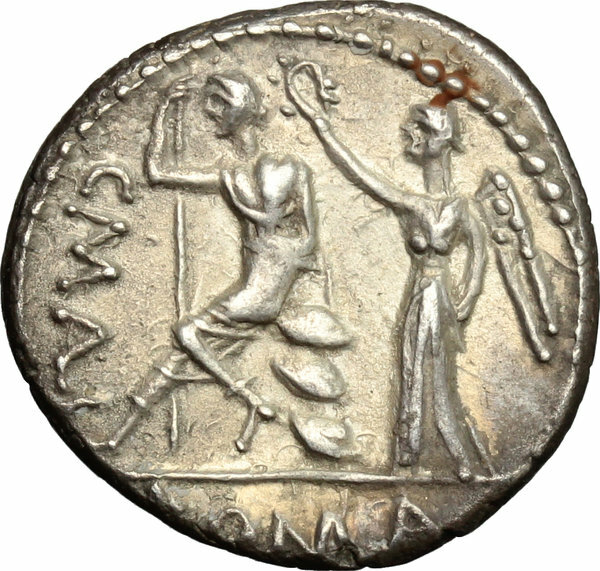 Roma seated left on shields, holding sceptre, crowned by Victory standing behind her; in exergue, ROMA. Cr. 335/1a. B. 46. AR. g. 3.93 mm. 19.00 Superb and prettily toned. EF.